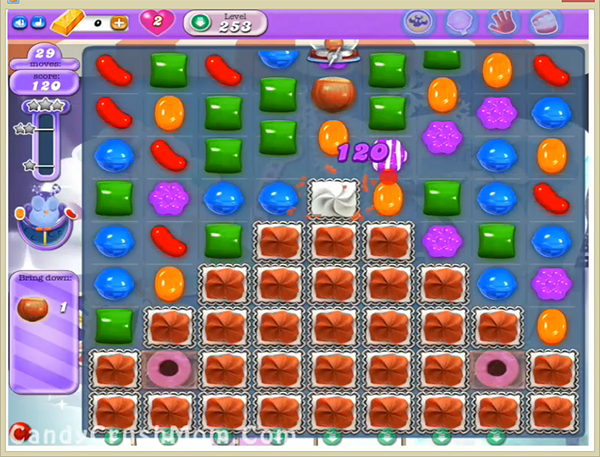 This level have normal difficulty and you need to break lot of blockers so ingredient could come to bottom easily. For this level try to play from bottom to block as much as blocker you can by using special candy or anything while balancing the Odus owl. You should wait till last move as you can get chance any time to take ingredient to bottom. We completed this level with 92940 score using few special candies and trick that we wrote above and got three star score at the end of the level.